Agile Adoption Roadmap: What really is an Agile MVP? 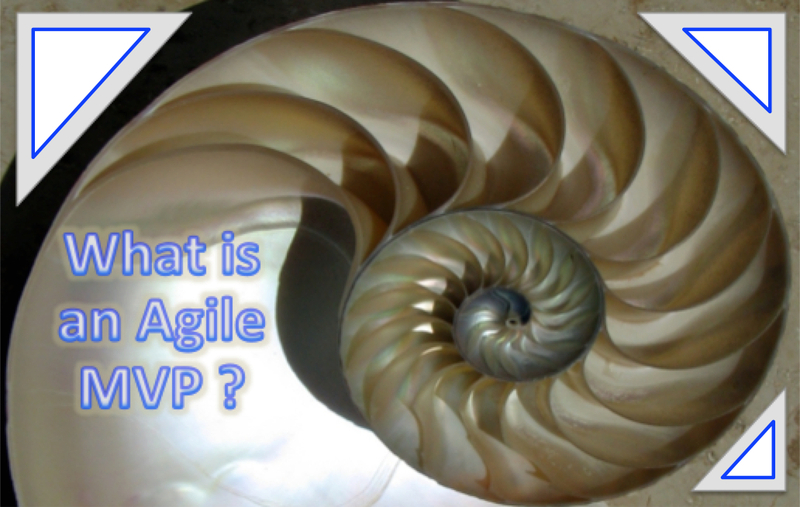 What really is an Agile MVP? There is often a bit of misunderstanding of what is an MVP (Minimum Viable Product) in an Agile context. MVPs are meant to provide the minimal functionality or feature set that will be useful to customers. However, to attempt to define the minimal set up front means that you know what the customer wants from the start. How often do you know what the customer wants at the beginning? Instead think of an MVP as an opportunity to learn what the customer wants. It should neither be fixed nor should you be certain of what it is. Instead it should be considered an evolving concept from which you learn what the customer wants over time. What mindset shifts might you have to make in order to adapt to what an MVP is in an Agile world? The first Agile mindset shift is that you should not define an MVP upfront in an Agile world. Defining an MVP upfront is akin to big-up-front planning. You can certainly hypothesize what the minimal set of features might be, but you must have a mindset and practices that have you validate your assumptions and hypothesis. You can start with a vision or general idea of what might be minimal and valuable to the customer but the moment you attempt to succinctly define the set of features, you are not really following Agile and more egregious, you are doing a disservice to your customer. The second Agile mindset shift is that customer feedback is key to evolving the MVP. If you want your MVP to align closely to customer value, you must include continuous customer feedback loops when working on an MVP. These can take the form of customer demos or hands-on sessions. Customer feedback can start as early as when you are hypothesizing what is an MVP and must be part of evolving the MVP to gain a strong inspect and adapt mindset with the inspect coming from the customer. Eric Reis writes that an MVP “allows a team to collect the maximum amount of validated learning about customers with the least effort.” Customer feedback is the cornerstone to validated learning. So who really determines what is the MVP? If you think the answer is you, your management, or your team, then maybe its time to Reduce your certainty and Ready your mind with the Agile mindset, discovery mindset, and Feedback loops. The right answer is the customer determines what is the MVP in Agile. The more closely you align with customers throughout the effort, the more likely you will have an MVP that is considered valuable to the customer.